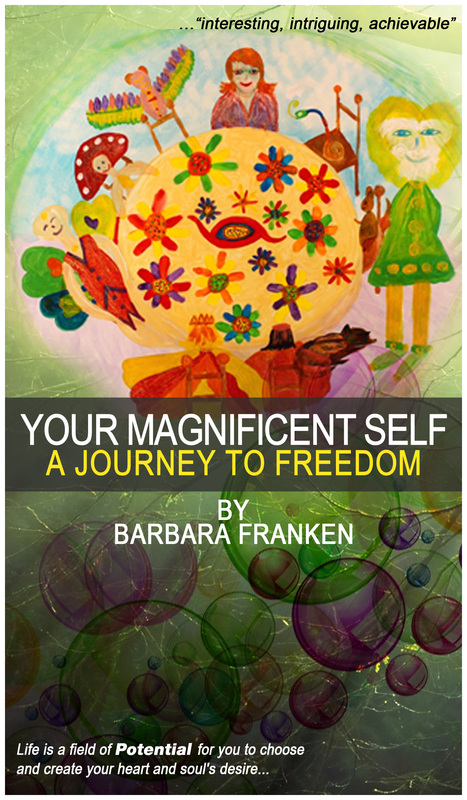 This entry was posted in New Energy Consciousness and tagged A Selection of True Awakening Experiences, acceptence, Awakening, Barbara Franken, book launch, DivineHumanBeings, expanding, Free E Book, IAM, knowingness, love, Reverence, review my book, trust, unique beingness, WordPress, Your Magnificent Self... A Journey to Freedom by Barbara Franken. Bookmark the permalink. Dear Brad… Does this mean you will play along and be bold and open too? Energetically, but no commitments on writing or reviewing. 🙂 I’m involved with life changes around selling my house and finding work. I like your idea very much, Barbara! Thanks for keeping this alive! Sometimes it is so powerful to “reconnect” with our journeys. We, at times, can overlook what has transpired along the way. Thank you for this reminder and powerful posting. I cannot believe that it is nearly two years since this book. So much has happened in that time! It wasa wonderful idea and thanks for allowing me to participate. Wonderful idea Barbara.. I don’t know If I have that much to contribute this time around.. except to have landed in a more contented place.. .. 🙂 Book me in Barbara, for date on your list the 23rd Feb.. :-D.. and I will put it in my diary.. I met some wonderful on line friends the last time around Barbara.. A brilliant theme to carry forward..